Tiffany Deering joined the U.S. Army in 2006. She met and married John, another soldier, while stationed in Korea for two years. Military service kept them apart, and they wanted to spend some quality time together once they finished their services in the Army. John suggested truck driving, and the rest is history. 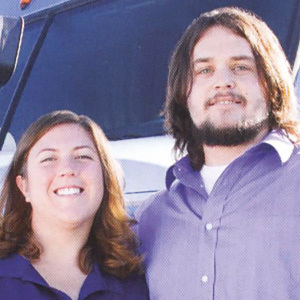 Neither of them had a background in trucking, but they felt confident that it was the right career for them. “No matter what job you had in the military, you come out with the tools to be successful in trucking,” Tiffany said.